Yanchun Zhang is a full Professor in the School of Computer Science and Mathematics, and Director of Internet Technologies and Applications Research Lab (ITArl) at Victoria University, Australia. 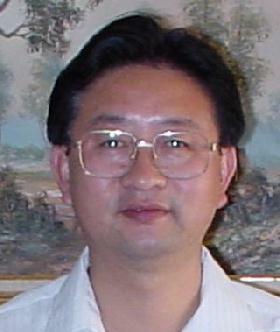 Dr Zhang obtained a PhD degree in Computer Science from The University of Queensland in 1991. His research areas cover database and information systems, distributed databases and multidatabase systems, database support for cooperative work, electronic commerce, internet/web information systems, web data management, Web mining, web search and Web services. He has published over 100 research papers in refereed international journals and conference proceedings, and has authored/edited over dozen books/proceedings and journal special issues. He is a founding editor and Editor-In-Chief of World Wide Web: Internet and Web Information Systems (WWW Journal), founding Book Series Editor on Web Information Systems Engineering and Internet Technologies from Springer, Chairman of Web Information Systems Engineering (WISE) Society and Steering Committee Chair of WISE Conference Series. He has been a key organizer of several international conferences such as APWeb’05 PC Co-Chair, APWeb’03 and APWeb’04 Publication Chair, RIDE’02 PC Co-Chair, WISE’01 Publication Chair, WISE’00 General Co-Chair, CODAS’99 Co-Chair, etc. He is a member of IFIP Working Group WG 6.4 on Internet Applications Engineering.